Koei Tecmo and Team NINJA are working on a brand new engine for DEAD OR ALIVE 6, but we don’t yet know much about what it can achieve. In order to learn more about the inner workings of this new engine, DualShockers visited the team’s headquarters in Ichigaya, Tokyo, and talked with Director and Producer Yohei Shimbori, Art Director and Scenario Writer Yutaka Saito, and Technical Expert Taku Sugawara. Since our interview was over two hours long, all of that juicy info has been split into three parts followed by additional coverage. This second part focuses on the engine and on the technology powering the game, while the first part elaborated on recent reveals and on things that have yet to be revealed (like the mysterious new female character teased by the Japanese collector’s edition). 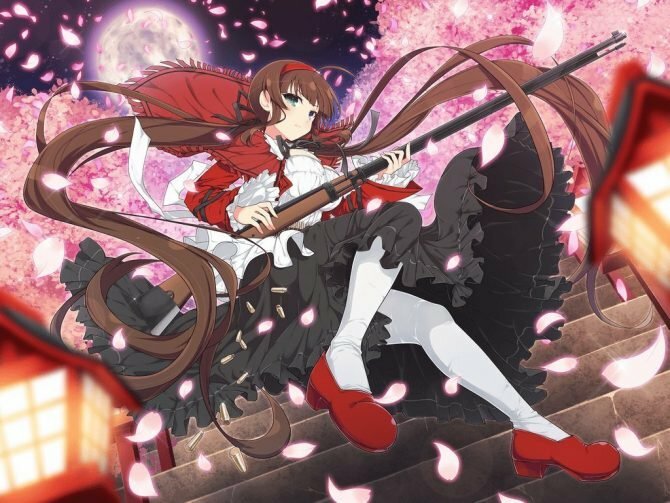 The third part will wrap up with information about the characters and the story next week. Giuseppe: Could you tell me how much of the engine is completely new? Taku Sugawara: The Technical Support Division works on the engines for all of Koei Tecmo’s games. We have a knowledge base that comes from various titles, especially related to graphics and shaders. We have a collection of resources that we have been gathering while working on a variety of games, and it’s quite vast. It also includes lighting, post-production effects, and more, that we used to create the engine. For example, it supports scatter-based physically-based rendering instead of reflection-based, and its production environment is one that artists can understand intuitively. Also, we are not limited to the physically-based [rendering] but we can create a virtual light theory to achieve unique expression. As a result, our engine also implements shaders based on various virtual light theories. 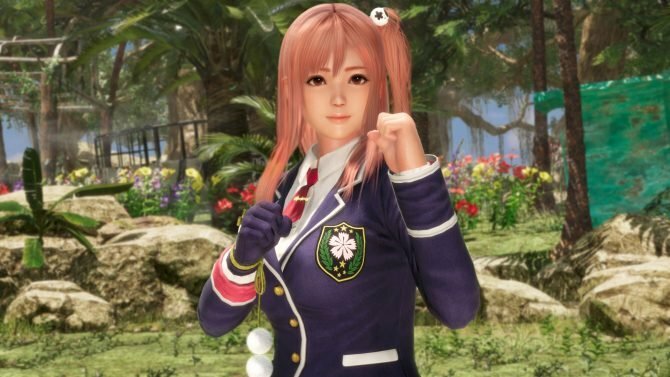 G: Is this engine being created specifically and only for DEAD OR ALIVE 6, or are you planning to use it for other games as well? Taku Sugawara: As I mentioned, we work on the graphics engine for all of our titles. The engine won’t be used just for this project. Up until now, many Koei Tecmo games have been using their own dedicated engines. While that approach has some merits, it creates difficulties in updating those engines and implementing new tech within their environments. It’s also less cost-efficient and less-time efficient for quite a few projects. Our technical department developed the integrated development engine by incorporating the latest technologies, aiming for a new visual representation. We worked together with Team NINJA to implement it in DEAD OR ALIVE 6 and the synergy with Team NINJA’s artists helped in achieving further optimization. G: So we could say that this is Koei Tecmo’s next-generation engine? Taku Sugawara: Yes. It’s the engine with the latest technology incorporated into it to move forward. G: Shimbori-san said in previous interviews that DEAD OR ALIVE 6 doesn’t use the Soft Engine because it’s old. In which way is this new engine superior to the old one? Yohei Shimbori: Until now, Team NINJA’s staff has been working on the Soft Engine on its own. This time we have the Technical Support Division to help build the engine, and they’re specialists in technology, with the ability to improve the implementation of the way physics are displayed. There are various parameters that have been changed, and unfortunately, I can’t talk about all of them. For example, the clothing and the skin underneath it, the way that they move is different so you can see more defined and separate movement. Another improvement is in how things collide with each other. The physics of soft bodies are also much more realistic. The way hair, clothes, and dangling objects move and flow is something in which you can really see the difference in the physics. G: The new engine supports physically-based rendering. How important this is to display a more realistic image for the game? Yohei Shimbori: I came up with the concept of “intense fighting entertainment” and I discussed with Yuta-san about how to show it with the physics-based lighting. Yutaka Saito: You could say that this change has started with DEAD OR ALIVE 5 when we tried to achieve a much more realistic effect than in previous games. It was an older-type graphics engine, but we really tried to use the tools that we had the best we could in order to achieve a more realistic representation. At first, we wanted to use our own techniques without relying on specific technology. We wanted to show a more realistic image, and we thought we would be able to do it easily. When we tried what I initially thought would have been realistic, it turned out to be different from what I had in mind. We want to show beautiful skin, cute faces, and flashy stages, but when everything was rendered, it looked a little bit too normal. It lacked the additional impact that we were looking for. By improving the lighting and the shading, we found that it got closer to what we had in mind. It isn’t perfect yet, but it’s closer. From here on, we’re looking at adding more artistic lighting. This is something that we’re working on right now, and when we’re able to implement it, we’ll have achieved the complete vision that we’re looking for. Yohei Shimbori: We’re also working in improving the loading since it’s a little heavy for now. We’re still in the middle of creating this. The game and the engine are being developed in parallel. G: So you’re aiming for realism, but with a bit of artistic fantasy mixed in. Yutaka Saito: That is correct. We’re trying to create something that will make players feel that they’re part of the action. We’re not making something that is real but it should still feel realistic. G: The latest trailer really showcases the cloth physics. Tina and Bass wear long coats that really move beautifully. Is this also a showcase of the tech that comes with the new engine? Taku Sugawara: The cloth simulation engine has also been rebuilt. While these visuals have become possible because of the progress of the engine itself, it’s very important to set the simulation parameters correctly to make the cloth simulation more visually appealing. As the technical support department, we also pay attention to setting up the parameters so that it can be done more easily and quickly. As a result, members of the development team were able to focus on cloth setting, and we were able to show a game of higher quality. G: Many are of course focusing a lot on the breasts of the female characters, but those are certainly not the only muscles that move in the human body. For instance, a man’s pectorals also tend to move a lot. How much of an effort has been made to achieve these kinds of body movements? Yutaka Saito: Actually, I tried various tests to show the bulge of the male characters’ arm muscles or abdominal muscles from a technical artist’s standpoint. However, even if it can be realized by a combination of complex technologies, in most cases it will be hidden by clothes. It was very difficult for people to notice it through the clothes. We should focus on the most visible movements. We are taking on a variety of new challenges, not just the movement of muscles, but we are also trying to focus on the most effective ones and to figure out what should be implemented. G: I guess you’re also considering performance costs. Yutaka Saito: In this game, we also want to improve upon things like hair and clothing. Instead of focusing only on things we didn’t have before and adding completely new elements, we really want to refine what we have and improve on it. Yohei Shimbori: The CPU costs are pretty high. We’ll do our best working hard on it while managing performance. Yutaka Saito: We’re also working on the facial muscles. We’re really trying to make the facial expressions much more diverse. 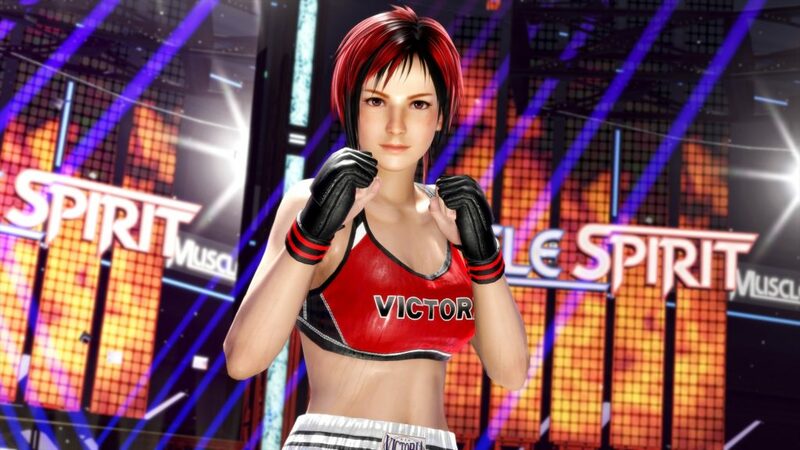 We have been wanting to work on this since DEAD OR ALIVE 5, and we’re seriously doing it now. This is proceeding well, so I think players are going to be impressed with what they will see. G: You and many other developers are working on games today, but it seems that a new generation of consoles is coming pretty soon, possibly around 2020. While I know that you can’t give me any details, are you guys already preparing for the next-gen consoles from a tech point of view? Taku Sugawara: We do not know about next-gen consoles, but we constantly continue research and development with the next-generation in mind. Yohei Shimbori: No one tells us what’s going on. Yutaka Saito: We’d like to know as well. G: Would you be interested in launching DEAD OR ALIVE 6 on the next generation as well? Yohei Shimbori: If someone shared with me some information about the next generation consoles and when it’s coming out, I’d like to think about it, but since I’m completely in the dark, I can’t really say at this point. As I create games, I always think about what the limits are, and what I want to do next. For instance, there could be things that I thought pushed beyond the limits but can actually be achieved, and that’s what we work with the Technical Support Department on. Thinking about what you want to do next also brings up new ideas. For now, it seems that I’ll be able to achieve all I set out to in this current generation, but I’m definitely looking forward to what’s coming next. G: Sugawara-san, as a representative of the technical side working on the engine, is there anything else you’d like to add? Taku Sugawara: The visuals of this game are something we’re working really hard on, and I’m sure people will see that it’s a marked improvement. I’m sure everyone is looking forward to seeing the characters in DEAD OR ALIVE 6. We’ll continue to improve and work on the quality of the game, so please look forward to it. 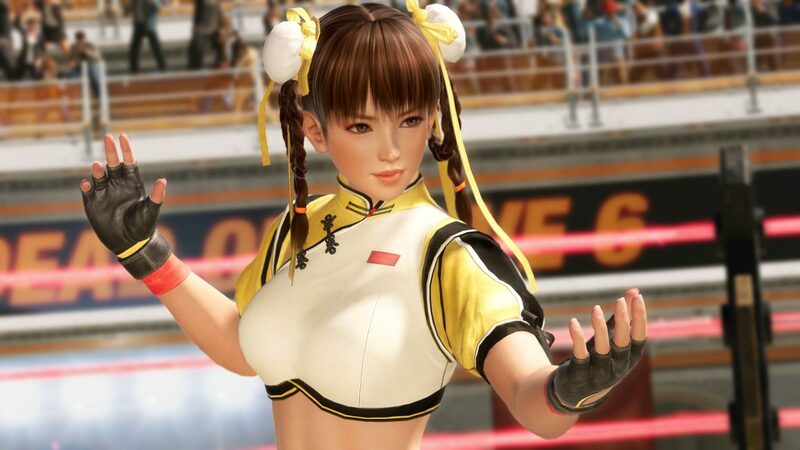 As mentioned at the beginning of the article, there is still a lot to be said about DEAD OR ALIVE 6, so do check out the first part of our coverage, and stay tuned next week for more information on the characters and the story of the game. If you’re interested in learning more, an event dedicated to the game named DEAD OR ALIVE Festival 2018 has also been announced and will happen on November 18th. 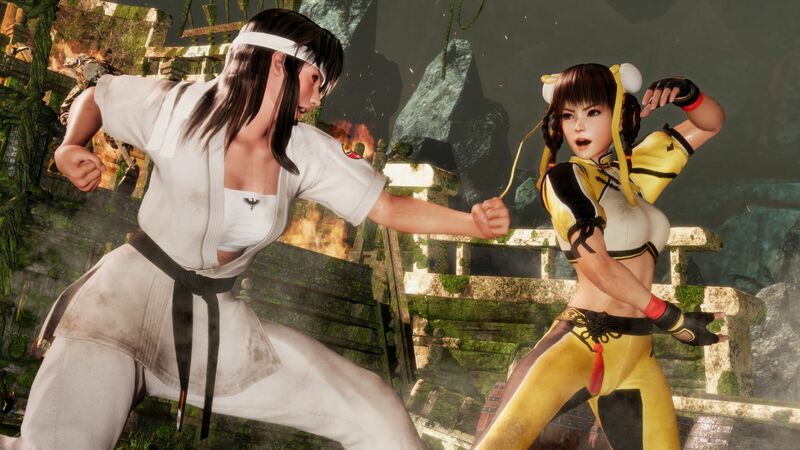 Koei Tecmo is investing a lot of resources in creating a brand new engine for DEAD OR ALIVE 6, incorporating the latest technology.